GE Profile products offer the best in contemporary design matched with the latest in appliance technologies to transform the way you live. Sporting a bold, dramatic look and state of the art features, this collection provides the perfect combination of style and innovation throughout your kitchen. ELEGANT GREAT DESIGN, EASY TO CLEAN. HEAVY METALS SO BE CAREFUL IF YOUR HANDS ARE WEAK. 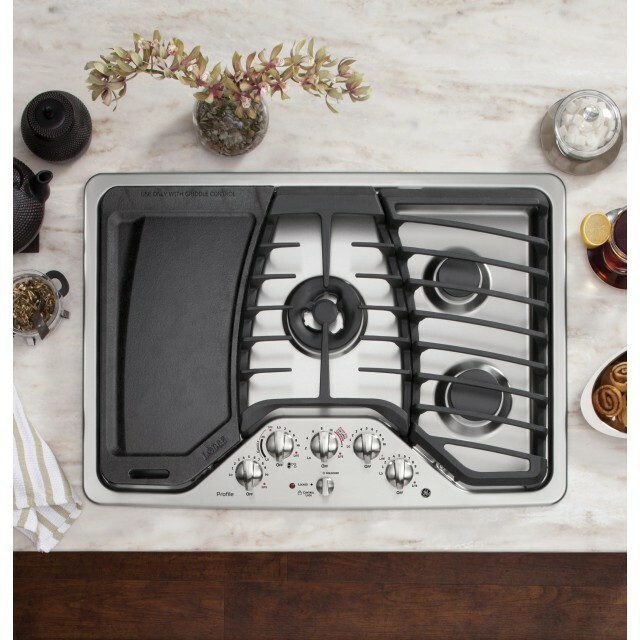 Great cooktop Nice design. I love having five burners. I like how you can slide pans from one to another without lifting. Large center burner Just purchased it around a month ago after converting to natural gas We love it. Love my new cooktop! Had this cooktop put in our new house and love it! Especially like the locking feature!